As you may remember from another recent feature, the true roots of Panerai came to be on account of the Radiomir, however the classic Panerai Luminor is anything but a recent addition. The Panerai Luminor Marina is a great daily watch. The sophomore effort from the brand arrived approximately 14 years after its sibling in 1950, taking its name (once again) from a patent filed by the brand a year earlier. Luminor (the substance) was a successor to the Radium-based Radiomir luminous material, this time using tritium as its base. This modern Luminor first launched in 2016, once again expanding the model range. It features a 42mm steel case, housing a matte-finished black dial with cream-colored indices that give the piece a slightly aged look. More importantly, the piece was fitted with one of Panerai’s in-house manufacture calibers, the P.9010. 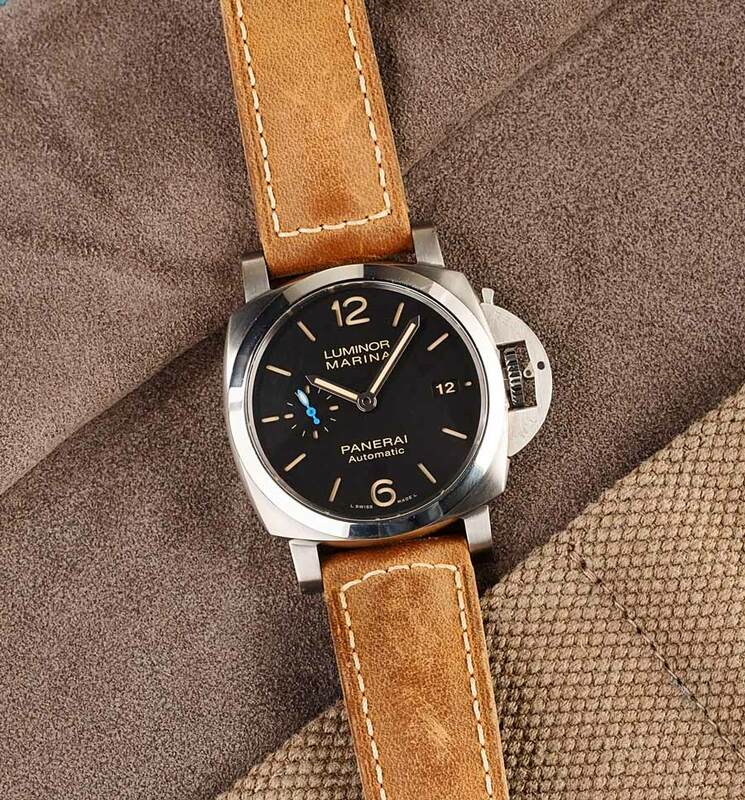 Panerai has been making a concerted effort to convert its entire model line to in-house calibers over the years, most recently adding them to its Due model line in 2018—surprisingly without charging any additional premium over the past models which had been fitted with outsourced movements. What sets the P.9010 apart, among other things, is its 3-day power reserve, delivered via a pair of mainspring barrels. To this day the vast majority of luxury watches competing in this price bracket offer a power reserve in the ballpark of 40-50 hours, and though the added running time is unlikely to be a dealbreaker for anyone, it’s certainly a nice bonus. 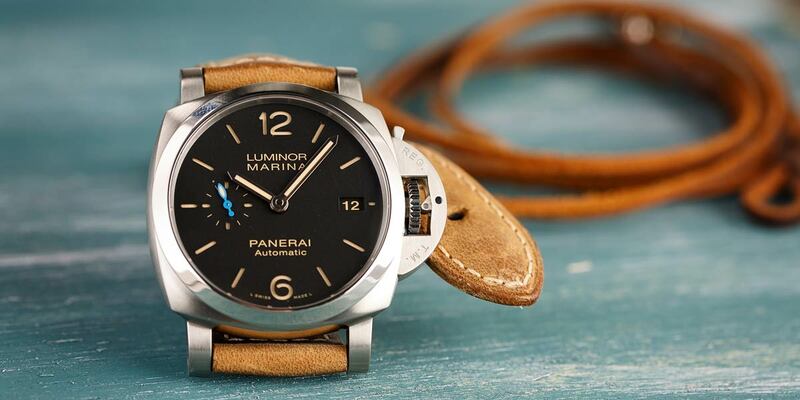 What are your thoughts on Panerai Luminor Marina? Comment Below. Though the Luminor is now considered more of a daily-wear casual watch, at its roots its intended purpose was diving, and fitted with the correct strap it is still perfectly capable of spending some time under water. This PAM 1392 is rated for 10bar (roughly 100m), which is more than adequate for spending time in the pool, surfing, snorkeling, and even most mild recreational diving for that matter. That said, once fitted with its supple calfskin leather strap as seen here, the Luminor Marina 1950 3 Days Automatic is the perfect companion for everything from running weekend errands to a casual night out on the town. Measuring 13.2mm thick, it’s still a little too hefty to consider tucking under a dress shirt cuff (and we wouldn’t recommend wearing it with a suit), but it’s perfectly acceptable choice for any other type of attire. 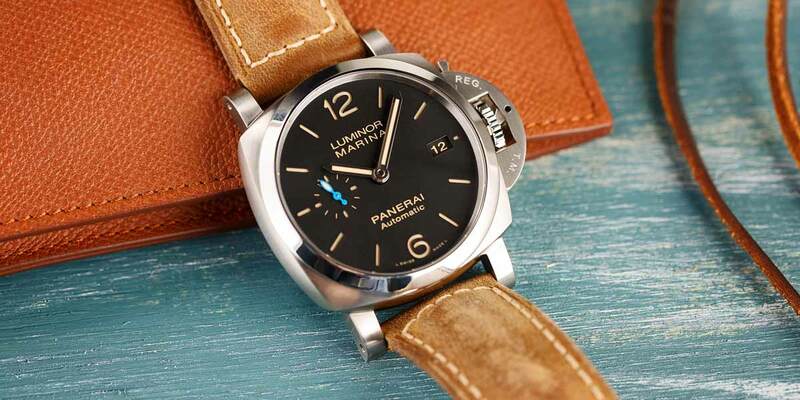 Get the Panerai Luminor Marina on your wrist today.